Great....but many of these videos do not comply with your uploading conditions. And i thought i could watch every youtube video, ha ha haaa how wrong was i. There are many sites besides YouTube to watch free free movies trailers and music video clips for free online! Watch video clips, Film Festival Previews trailers of coming soon movie releases from your favorite new Hollywood movies. Wow! There really is a Web Video Explosion going on right now! Who would've thought that when YouTube launched, it would've become such an incredible behemoth of traffic. Anyone *not* involved in some form of video marketing in the next 12-24 months is missing a huge opportunity. Football. Not Futbol. It's probably time to get somebody that knows English to post these blogs, isn't it? 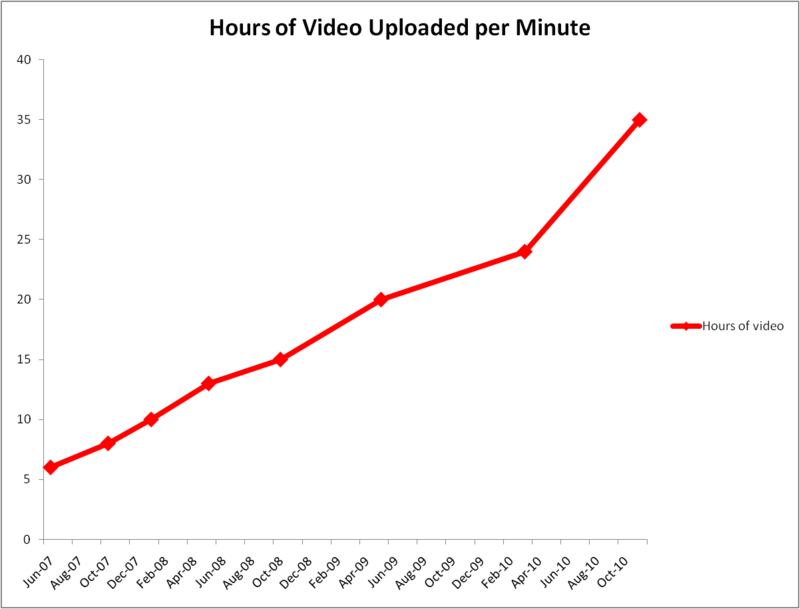 When I first started using Youtube, uploading a video was a fairly quick thing to do. NOWADAYS, however it takes longer and longer to upload videos. It's all very well and good saying "sort it out, Youtube!" but it should be down to the individual user to decide. "Hang on... Do I REALLY need to upload this?" "Does it already exist on Youtube?" "Should I upload my short 2 minute film that will simply take up space and provide no entertainment / information whatsoever?!" 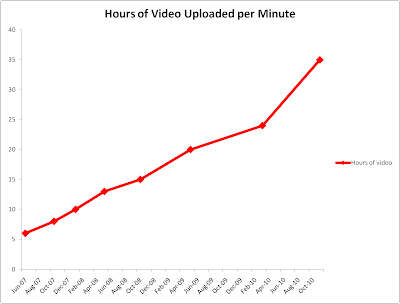 Encouraging (for the majority) idiots to upload upto 48 hours of video every minute is only going to cause problems for Youtube and its users in the long run. where the heck does all this get stored? Is there some super mega hard drive filled with millions of terrabytes thats just getting fatter and fatter? who is paying for it as well? I shudder at the bandwidth you guys must have. We've just uploaded our first video onto Youtube and once we get the hang of iMovie we are going to start doing it from our phones live in the restaurant. The people who are correcting "futbol" are just plain stupid and have no sense of humour or people with accents in their imagination. Ooh, much improved. I like the style of the comments especially. Good quality services and interesting post shared with the intention that can be upload video and used it. It is very greatest and useable services shared.